Milk is considered a nutrient dense food. 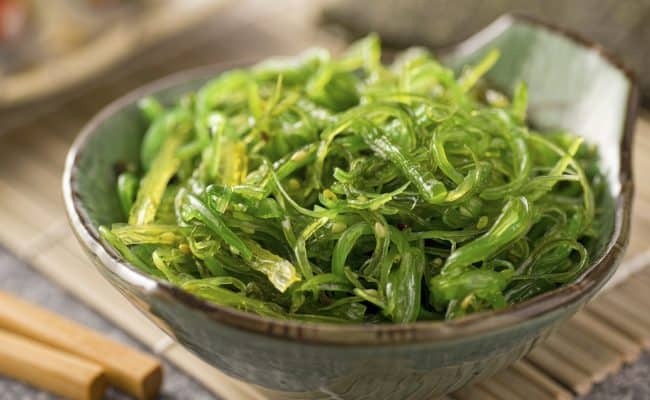 It is a good source of protein, calcium, vitamin D, potassium and vitamin A. What can vary in milk is the fat content with whole milk having the highest amount of fat and skim milk having the least amount. The main health message for milk intake for many years has been: drink 3 cups of milk per day and choose low-fat or non-fat (skim) milk. Choosing low fat or skim milk over full fat milk is a lower calorie choice and was thought to provide heart health benefits by being lower in saturated fat. 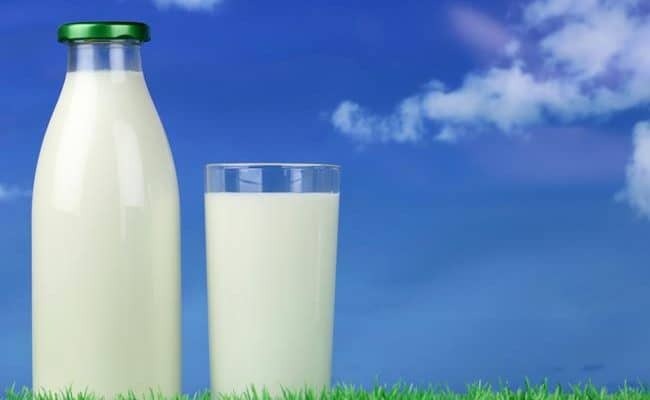 However, recent research has suggested drinking skim milk in place of higher fat milk may not provide advantages for heart health and/or weight regulation. 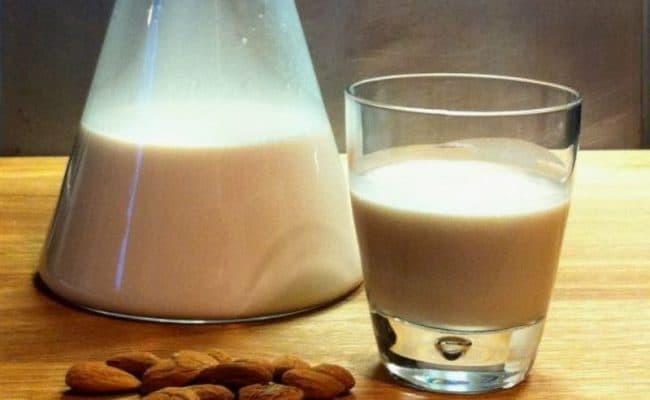 Some health experts are now even calling into question if drinking milk is really even required for optimal nutrition. For example, people with lactose intolerance can get all nutrients from milk from other food sources. Is milk an important part of the diet? With what seems confusing messages surrounding milk intake, what is the bottom line? Is skim milk healthy? The health message around milk has changed somewhat over the years. Either full fat or skim milk can be considered healthy. What is skim milk used for? 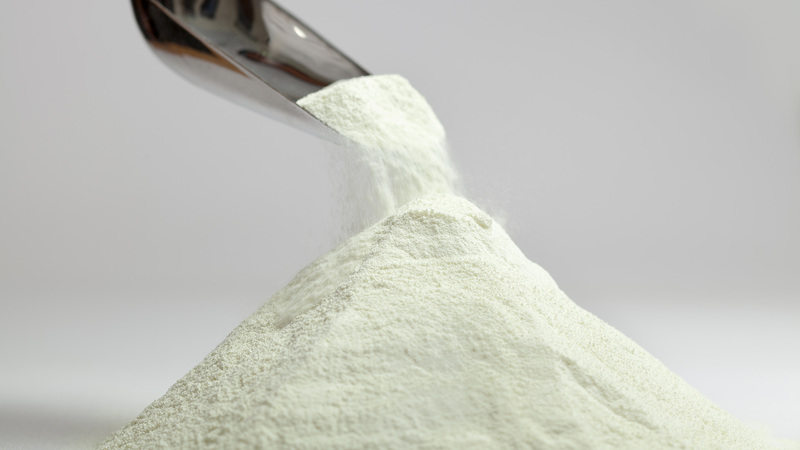 What is skim milk powder used for? How much skim milk should you drink? What if you can’t drink milk? Is skim milk better for weight loss? Is skim milk healthier than soy milk? Conclusion: Is skim milk healthy? 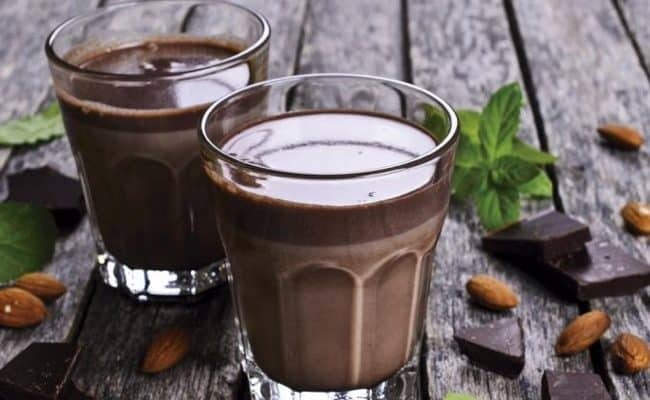 The main options for dairy milk differ mainly by fat content. For example, a cup of whole (full fat) milk provides 148 calories with 8 grams of fat. A cup of skim (non-fat) milk provides 83 calories and less than 1 gram of fat. The carbohydrate, vitamin, mineral and protein content is the same or very similar between mainstream dairy milk options. The exception to this is some milk options have now been changed at the basic level to have a higher protein amount than other milks. The main difference between different types of milk is the fat content. Milk straight from a cow, or other animal, will naturally have some fat in it. For centuries, this is how people drank milk: unchanged full fat version. Skim milk came about as a way to drink milk without the fat. Essentially, skim milk is full fat milk with the fat (cream) removed. The cream is skimmed off. Full fat or whole milk is not only fat; it is closer to three percent fat. This amount drops down to virtually zero for skim milk. Milk that is one or two percent has some of the fat left in; it isn’t all skimmed off. Skim milk is regular milk with the fat skimmed out. From whole to skim milk, a cup of milk provides about the same carbohydrate, protein, calcium, vitamin B12 and potassium content. Vitamin A and D are lost when the fat content is removed with skim milk, but they are fortified back in. Therefore, all vitamin content is the same no matter what milk choice. Because skim milk is virtually fat free, it provides fewer calories than whole milk. A cup of whole milk provides about 148 calories compared to 83 calories for skim milk. A cup of skim milk provides about 80 calories and is a source of protein, calcium, potassium, vitamin A, D and B12. Skim milk is used as a non-fat milk choice. It can be used as a replacement for higher fat milks whether its drinking a cup at meal times, pouring on cereal or used for cooking. If you are using skim milk in a recipe, note the outcome may be affected because of the very low fat content. Milk may be used in a recipe to provide some fat, so substituting skim milk may not always provide the best outcome. Skim milk has been a recommended dairy source because it fits into a low fat diet. A low fat diet (< 30% calories from fat) has historically been recommended for weight loss and heart health. Skim milk can be used for any milk application. Skim milk powder is basically dehydrated skim milk. The powder form of skim milk has the water removed. It contains less than 5% moisture by weight, less than 1.5% fat by weight and a minimum protein content of 34% (1). Skim milk powder or non-fat dry milk can be used in: baking bread for increasing volume, ice cream, meat products, cultured dairy products or in various packaged mixes (2). Skim milk powder is skim milk with the water removed. The USDA recommends adult men and women consume 3 cups of dairy per day. Why does the USDA recommend adults consume 3 cups of dairy per day? Dairy products are a source of many nutrients and can make a significant contribution to the US population’s nutrient intakes. A 2015 study (3) analyzed dietary data from almost 9,000 participants. Researchers found the majority of children over 4 years and almost all adults do not meet the recommended daily dairy intake. See also: Is there any sugar in milk and is it bad for you? Researchers suggest increasing dairy intakes would significantly lower risk for inadequate intake for calcium, magnesium, potassium and/or vitamin A. How much skim (or other types of) milk you should drink depends on what the rest of your diet looks like. How much dairy (or dairy alternatives) are you getting in your diet? If you consume cheese or yogurt, drinking a cup of milk may be adequate for reaching your dairy intake recommendation. If you don’t get other dairy sources in your diet, you may want to drink 2-3 cups of milk per day. How much milk you should drink depends on how much other dairy foods you are getting in your diet. The USDA recommends adults consume 3 cups of dairy per day. If you have lactose intolerance or have other health reasons you should not consume milk, you can still get the nutrients from dairy in your diet. Dairy alternative milks such as: soy, oat, almond, etc. milks are usually fortified with nutrients naturally found in milk like calcium, vitamin A, D and B12. Recommended intake is the same for most adults: 3 cups per day. If you consume dairy alternatives, check to make sure they are fortified with vitamins and minerals. Besides consuming dairy alternative milks, you can aim to eat more calcium sources in your diet. Non-dairy sources of calcium include: sardines (or other fish with small bones), fortified juices, tofu, leafy greens or fortified grains. If you can’t drink milk, aim to get dairy nutrients from other food sources in your diet. A cup of whole milk provides 8 grams of fat (12% DV) with 4.6 grams (22% DV) coming from saturated fat. Choosing skim milk, which has virtually zero grams of fat, over whole milk seems like a no brainer for a low fat diet. Following a low fat diet (less than 30% calories from fat less than 10% from saturated fat) has been advised for heart health for many years. However, recent research has put into question these guidelines for following a low fat diet. Observational studies have shown high intakes of saturated fat can raise total blood cholesterol levels. Hence the recommendation for low fat (especially saturated fat) diets. However, what is more clearly understood by researchers now is total cholesterol is only partly related to heart disease risk (5). LDL cholesterol size and type may be more important than total cholesterol levels. Foods with saturated fats provide a variety of fats; some of these saturated fats can be considered neutral or even beneficial for heart health. All saturated fats are not necessarily evil. Researchers also now know when saturated fats are replaced with refined carbohydrates this can pose an even greater risk for heart disease and even weight gain. Therefore, eating low fat or fat free foods in place of foods with fat may not be “better” if it means these foods are higher in sugar. For example, consuming low fat cookies with higher sugar content are not healthier than regular cookies with higher fat but lower sugar content. Therefore, current recommendations are shifting towards limiting refined carbohydrate intake instead of solely focusing on saturated fat intake. Just lowering saturated fat intake isn’t the only consideration for heart health. Replacing saturated fat with refined carbohydrates is not recommended. Should you drink whole or skim milk? The shift in research and recommendations on saturated fat and heart health are still underway. Current guidelines still recommend a diet low in saturated fat. However, refined sugar intake continues to gain ground as an important consideration for health. Health experts suggest these new studies on saturated fat and heart health do not give the green light to consume as much saturated fat as you want. Moderation and balance in nutrients is still recommended. If you are wondering if you should drink whole or skim milk, take a step back and look at your whole diet. Are you getting fats from other places in your diet? Are you intentionally following a low calorie/fat diet? Skim milk may be a good choice. Do you follow a low fat diet already? If you want to consume whole milk in place of skim milk, this choice may work in your diet without negatively affecting your health. Lastly, but maybe most importantly, which milk choice do you want? Which one will most satisfy you? Whichever one that is can fit into a healthy diet. Either whole or skim milk could fit into a healthy diet. Taking a look at your overall diet can help guide which choice may be best for you. Choosing skim milk over other higher fat milk options seems like a logical choice for weight loss because skim milk is lowest in calories. Cutting extra calories from your diet is an important staple for weight loss. So, switching from higher fat milk to skim milk can help you cut some calories. However, choosing skim milk over higher fat milk doesn’t always translate to simply saving calories. Why? Because skim milk is so low in fat, it is not as satiating after eating compared to regular milk. Choosing skim milk in place of higher fat milk can mean you are still feeling hungry and not satisfied after consuming it. This may in turn lead you to eat extra of something else. If it is refined carbohydrates, like in the form of an extra cookie, choosing the skim milk didn’t really help your waist line. A 2013 review (6) on the relationship between dairy, high fat dairy and obesity risk concluded high fat did NOT contribute to obesity risk. In fact, what may be surprising, consuming high fat dairy was actually inversely associated with obesity risk. These results may seem counter-intuitive: consuming the higher calorie milk was actually associated with a lowered risk for obesity. Researchers suggest one reason why this relationship may be is due to the satiating fat from regular milk. Consuming the fat can down play appetite after eating. If you consume skim milk, you don’t get that satiating effect which can leave you more apt to eat more of something else. The reality for weight loss is there is no one way to lose weight. Can you choose skim milk to cut calories to lose weight or prevent weight gain? Yes. 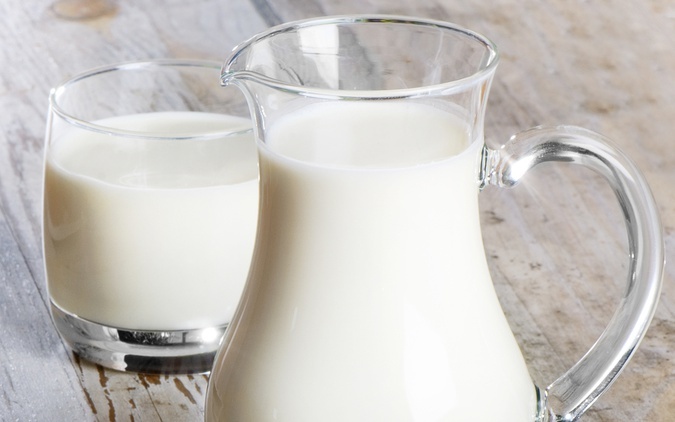 Can you choose whole milk to lose weight or prevent weight gain? Research studies say yes. What will depend on weight loss is your overall diet intake, exercise patterns and other lifestyle behaviors. Skim milk may not always be the best choice for weight loss. Studies have shown full fat dairy to be associated with a reduced risk for obesity. Either option could fit into a balanced weight loss plan. Can you eat dairy and lose weight? Some studies suggest consuming dairy products may be beneficial for weight regulation. 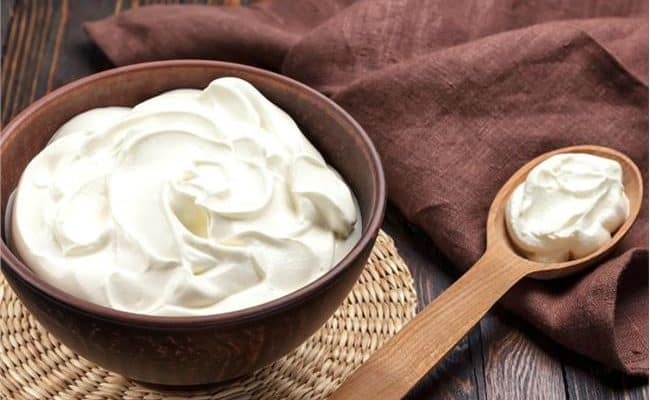 For example, a 2014 review (7) found the consumption of yogurt and other dairy foods is associated with a lowered risk of weight gain and cardiovascular disease. This and other studies suggest you CAN eat dairy and lose weight. However, this does not give you a pass to eat all the ice cream and sweet dairy products you want and still expect to lose weight. Whether it’s from skim or full fat milk, keep sweetened dairy products to a minimum. Ice cream, yogurt, yogurt drinks and yogurt covered snacks can all be high in sugar which does not benefit weight loss or heart health. Dairy is a natural carbohydrate source, but adding sweeteners can add a lot of sugar- even as much as a can of cola. Choose unsweetened dairy options and add fruits or a touch of honey if you want to add your own sweet flavor. You can eat dairy and still lose weight. Research studies have shown consuming dairy to be associated with lowered risk for weight gain. Both skim and soy milk can be low fat milk options. Soy milk provides slightly more calories per cup and is slightly higher in fat content. Both skim and soy milk provide about 7-8 grams of protein per cup, but soy milk is slightly higher in carbohydrates. Soy milk can have varying levels of vitamins and minerals depending how (or if) it is fortified. Skim milk is always a good source of calcium, vitamin D and B12. Most commercially made soy milks provide the same or close to the same levels of vitamins and minerals in cow milk. Which one is healthier? Both options can be part of a healthy diet. If you are looking for the option that is considered a better protein source for muscles, skim milk edges out soy milk. 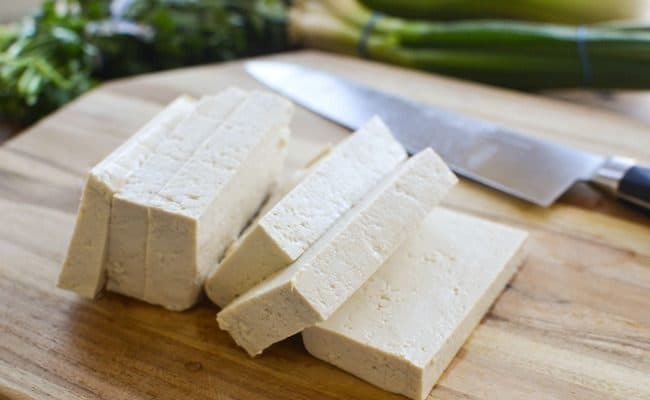 Soy milk used to be a main dairy alternative source, but there are currently many options for dairy alternative milk sources available at most grocery stores. 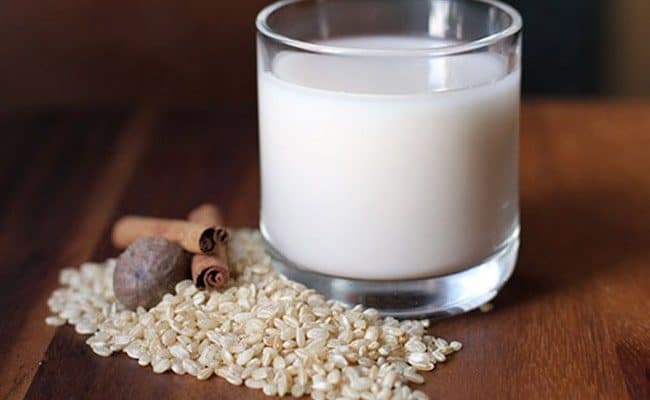 Popular options can include: oat, rice milk, almond milk, cashew or flax seed milk. Among dairy alternative milks, soy milk generally provides the most protein. Nut or grain based dairy alternatives are usually a poor protein source and may only provide a gram or two of protein per cup serving. Dairy alternatives can also vary in vitamin and mineral content. Skim milk can provide the best protein quality compared to other dairy alternatives. However, some are concerned about hormone levels in milk which may lead them to plant based options. Any dairy alternatives or milks can fit into a healthy diet. The important factor is consuming in moderation, eating a variety of foods and knowing the limits of whatever dairy/non-dairy option you choose. Skim milk may have the best quality source of protein, but other dairy alternative milks can also fit into a healthy, balanced diet. Both whey and soy proteins are considered “fast” proteins that can stimulate protein synthesis. However, whey protein from dairy may have an advantage to building muscles compared to soy proteins. A 2007 study (8) examined the effect of consuming either a soy milk or skim milk beverage after resistance exercise. Researchers found both proteins can stimulate muscle mass growth. However, researchers concluded chronic consumption of dairy protein supports a more rapid gain of lean muscle. This study suggests chronic consumption of skim milk compared to soy milk may be advantageous for muscle growth. Both skim and soy protein can help stimulate muscle growth, but skim milk protein may have an advantage to quicker muscle mass growth. Skim milk can provide an important source of nutrients in the diet. 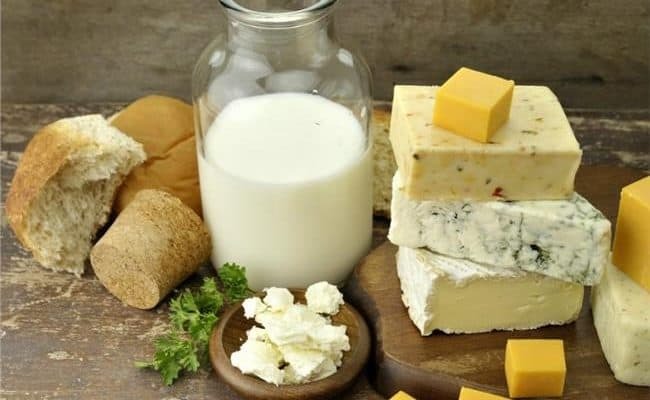 Increasing dairy foods in the diet has been proposed by researchers as a way to lower risk for nutrient deficiencies in particular vitamin A, D, B12, calcium and potassium. Compared to other dairy milks, skim milk is the lowest in fat and calories. Choosing skim milk in place of higher fat milks has been recommended by many health agencies as a way to lower fat intake. Low fat diets have been associated with promoting heart health and weight regulation. However, recent research suggests lowering saturated fat intake may not be the most important health message for heart health. In fact, studies have shown consuming full fat dairy does NOT increase risk for heart disease or weight gain. The reality is foods provide a mix of different types of fatty acids and other nutrients that impact the body in complex ways. Even though dairy can provide saturated fats, it provides other nutrients that promote heart health. The fat content in milk may also provide a satiating effect that may be beneficial for weight regulation. Consuming skim milk does not have the fat, and it may leave some looking to eat more food shortly after. Is skim milk healthy? Yes it can be. However, it is not always the supreme healthiest choice in every circumstance. The reality is any type of milk option can fit into a healthy diet as long as it is varied, nutrient dense and balanced. If you are wondering what milk would be best for your individual health, consult your healthcare team. Skim milk can be part of a healthy diet. However, other higher fat milks can also be part of a healthy diet. Whole Milk vs Skim Milk – Which One is Better for You?